3) Each test case can be matched with requirements. 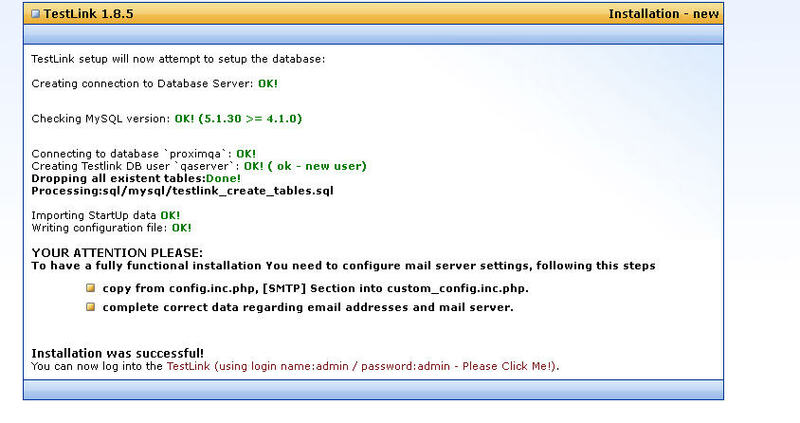 5) Only "admin" can create test projects/users. 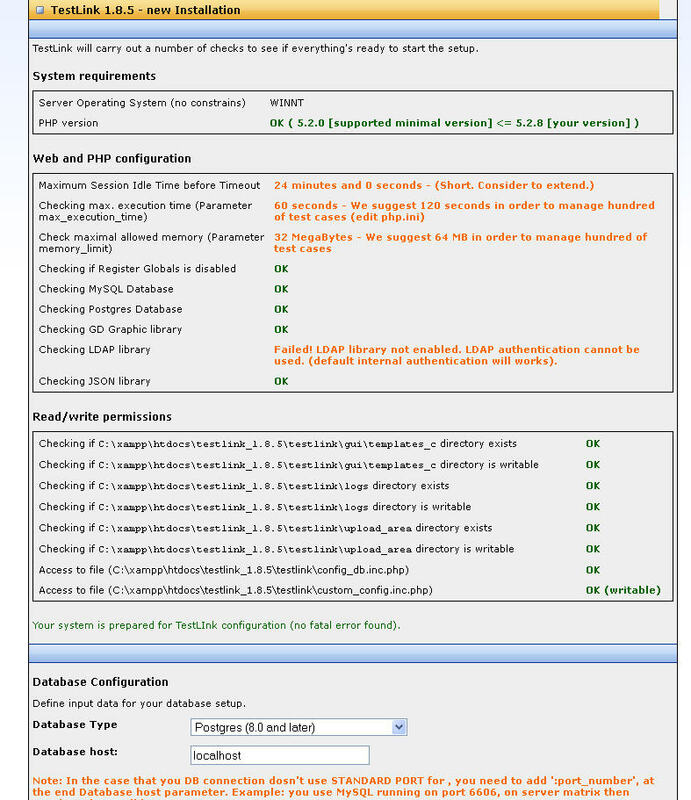 6) Leaders can create Test Suite, Builds, Assign test case executions. 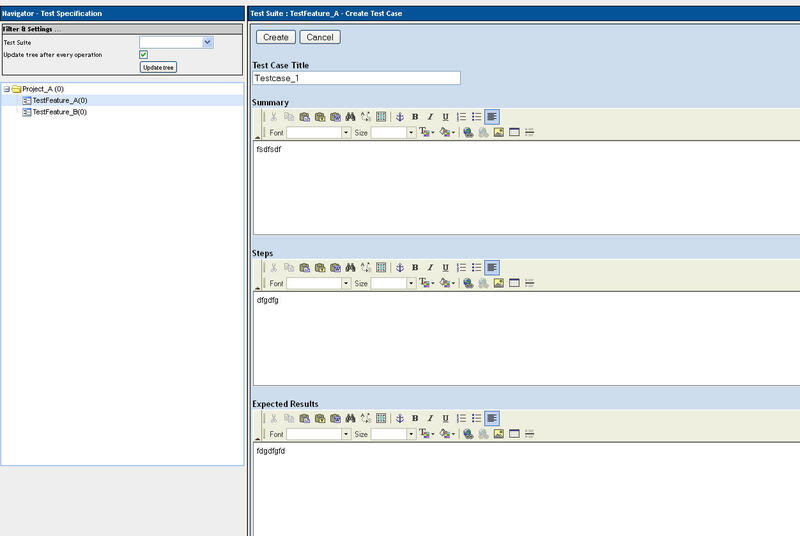 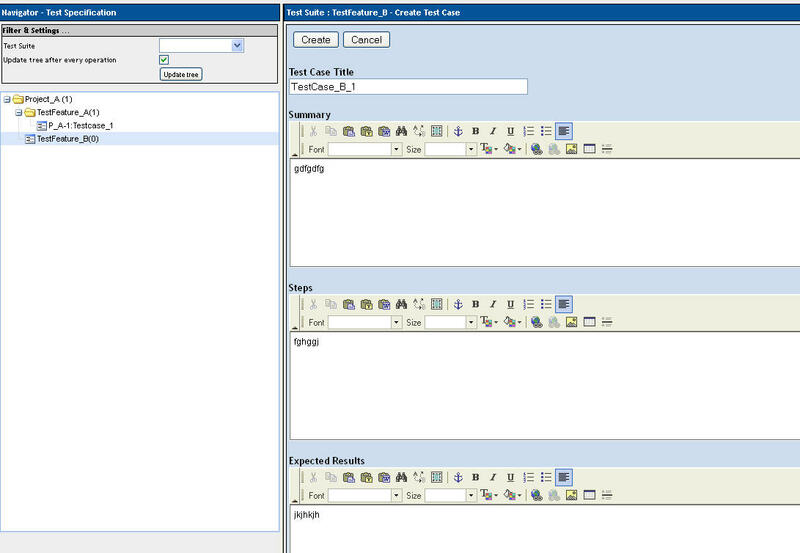 7) Test Suites/ Test cases can be moved/ copied in single project. 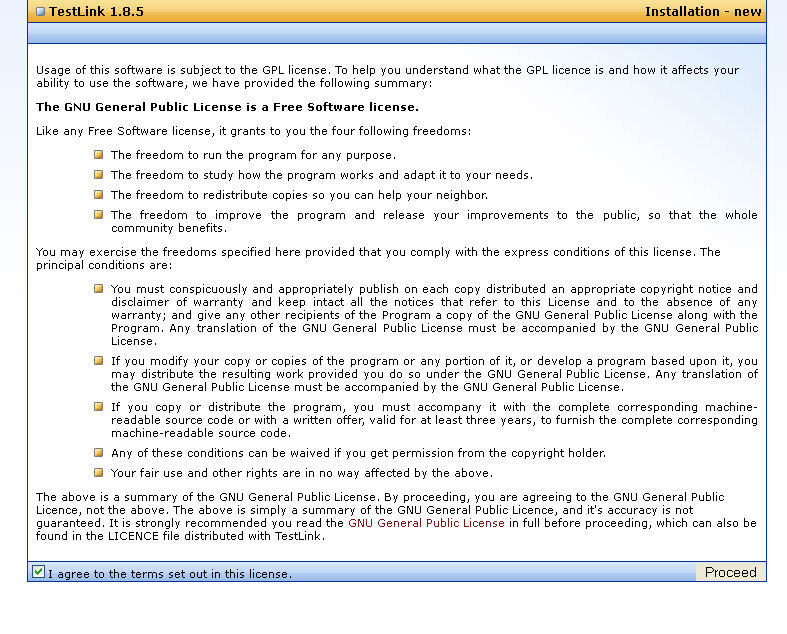 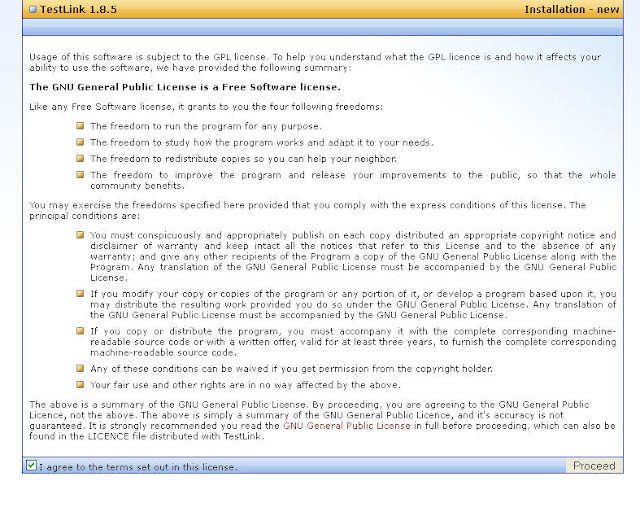 Copying from another project is not allowed. 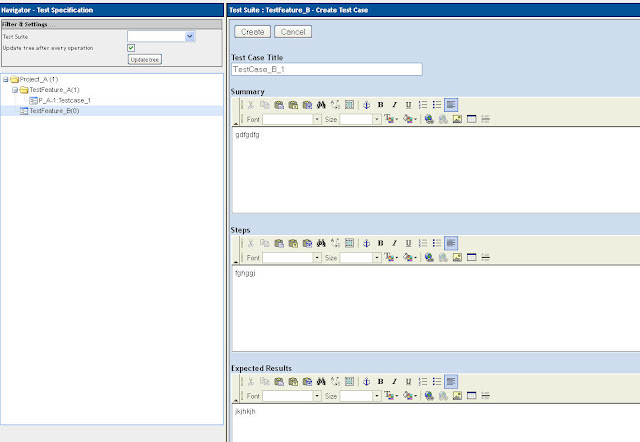 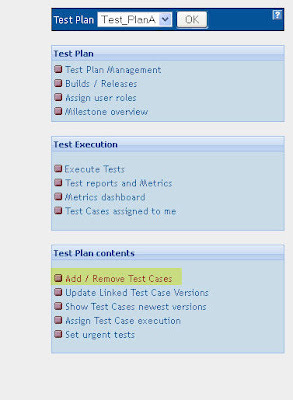 8) Once test cases are updated, leader can assign the test cases to testers. 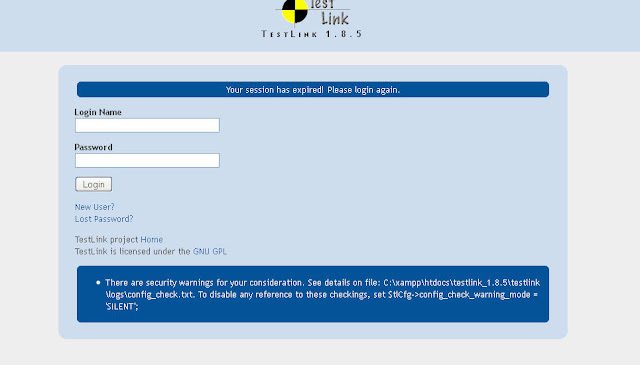 9) The testers can mark the test cases as PASS/Failed/Blocked. 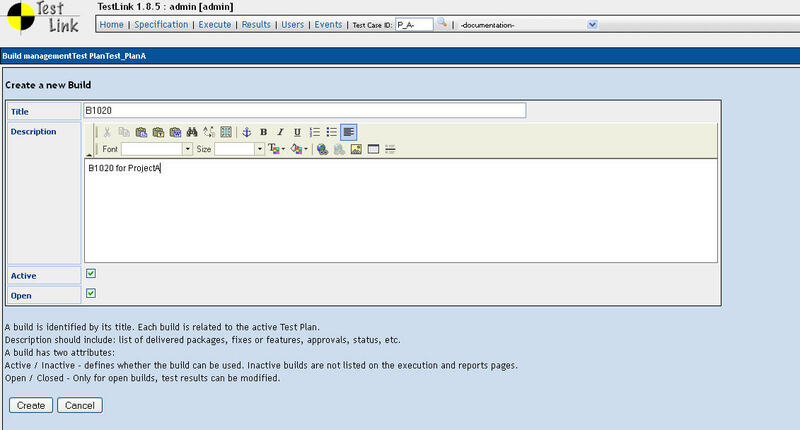 10) Once the Test status is marked as PASS/Failed/Blocked it cannot be changed to "Not run" again. 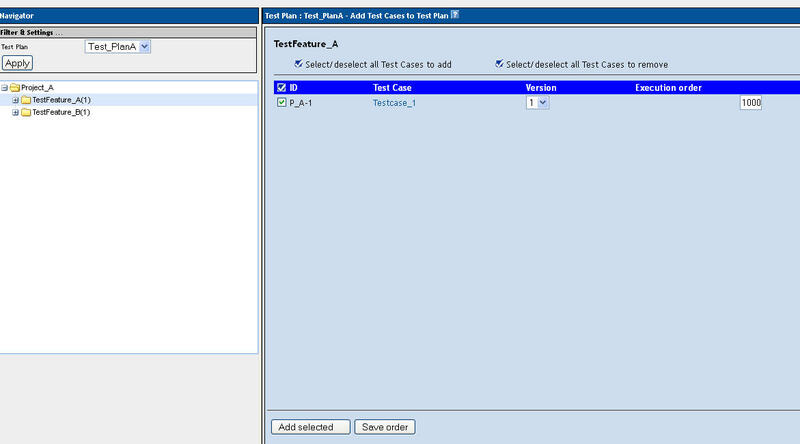 However if new build is added again all test cases will become "Not run" . 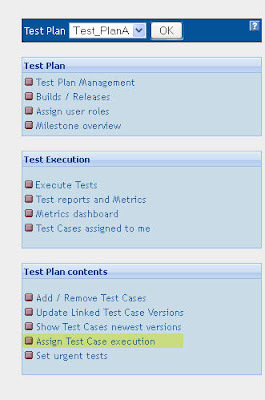 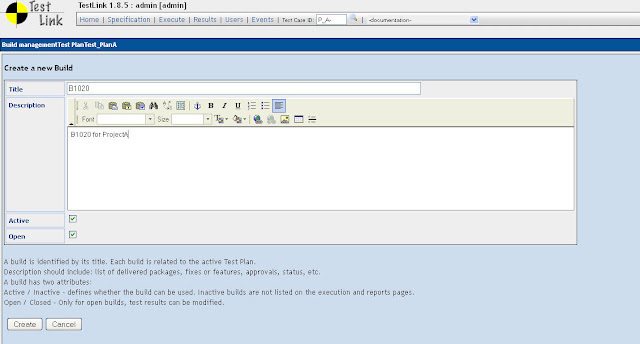 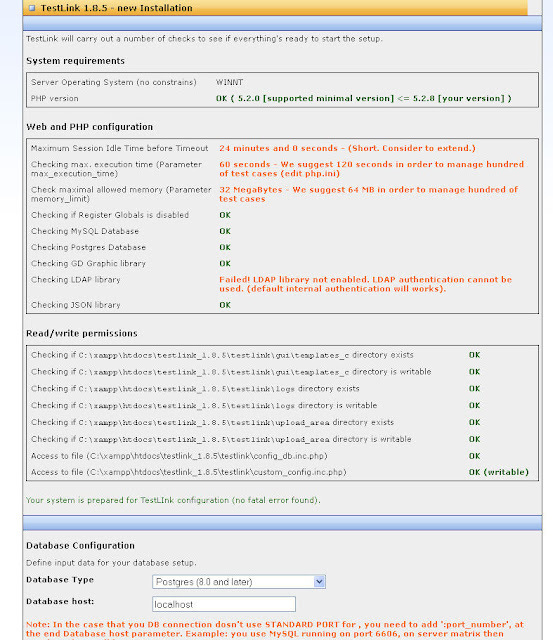 Create the Test Plan in "TestPlan Management"
For execution of test plan build is to be created. 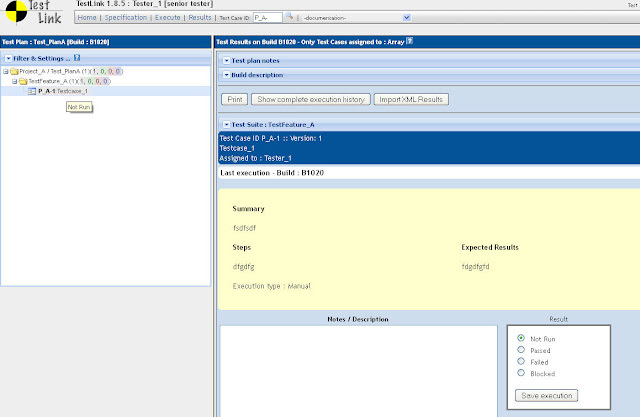 The reports can be seen in Results section.